Electron microscopic observation of photoreceptor cells in directly inserted anesthetized Drosophila into a high-pressure freezing unit.Terada H, Saitoh Y, Kametani K, Sakaguchi M, Sakamoto T, Kamijo A, Terada N*. Microsc Res Tech. in press. doi: 10.1002/jemt.23166.. The membrane palmitoylated protein, MPP6, is involved in myelin formation in the mouse peripheral nervous system. Saitoh Y, Kamijo A, Yamauchi J, Sakamoto T, Terada N*. Histochem Cell Biol. in press. doi: 10.1007/s00418-018-1745-y. Novel adherent CD11b+ Gr-1+ tumor-infiltrating cells initiate an immunosuppressive tumor microenvironment. Tsubaki T, Kadonosono T, Sakurai S, Shiozawa T, Goto T, Sakai S, Kuchimaru T, Sakamoto T, Watanabe H, Kondoh G, Shinae Kizaka-Kondoh*. Oncotarget. 9, 11209-11226 (2018). Deficiency of a membrane skeletal protein, 4.1G, results in myelin abnormalities in the peripheral nervous system. Saitoh Y, Ohno N, Yamauchi J, Sakamoto T, Terada N*. Histochem Cell Biol. 148, 597-606 (2017). Mint3 in bone marrow-derived cells promotes lung metastasis in breast cancer model mice. Hara T, Murakami Y, Seiki M, Sakamoto T*. Biochem Biophys Res Commun. 490, 688-692 (2017). Sakamoto T*, Seiki M*. Integrated functions of membrane-type 1 matrix metalloproteinase in regulating cancer malignancy: beyond a proteinase. Cancer Sci. 108, 1095-1100 (2017). Hara T, Nakaoka HJ, Hayashi T, Mimura K, Hoshino D, Inoue M, Nagamura F, Murakami Y, Seiki M, Sakamoto T*. Control of metastatic niche formation by targeting APBA3/Mint3 in inflammatory monocytes. Proc Natl Acad Sci USA. 114, E4416-E4424 (2017). Nakaoka HJ, Tanei Z, Hara T, Weng JS, Kanamori A, Hayashi T, Sato H, Orimo A, Otsuji K, Tada K, Morikawa T, Sasaki T, Fukayama M, Seiki M, Murakami Y, Sakamoto T*. Mint3-mediated L1CAM expression in fibroblasts promotes cancer cell proliferation via integrin α5β1 and tumour growth. Oncogenesis. 6, e334 (2017). Uematsu T, Fujita T, Nakaoka HJ, Hara T, Kobayashi N, Murakami Y, Seiki M, Sakamoto T*. Mint3/Apba3 depletion ameliorates severe murine influenza pneumonia and macrophage cytokine production in response to the influenza virus. Sci Rep. 6, 37815 (2016). Huai W, Song H, Yu Z, Wang W, Han L, Sakamoto T, Seiki M, Zhang L, Zhang Q, and Zhao W*. Mint3 potentiates TLR3/4- and RIG-I-induced IFN-β expression and antiviral immune responses. Proc Natl Acad Sci USA. 113, 11925-11930 (2016). Yoshino S, Hara T, Nakaoka HJ, Kanamori A, Murakami Y, Seiki M, Sakamoto T*. The ERK-signaling target RNF126 regulates anoikis resistance in cancer cells by changing the mitochondrial metabolic flux. Cell Discov. 2, 16019 (2016). Nakaoka HJ, Hara T, Yoshino S, Kanamori A, Matsui Y, Shimamura T, Sato H, Murakami Y, Seiki M, Sakamoto T*. NECAB3 promotes activation of hypoxia-inducible factor-1 during normoxia and enhances tumourigenicity of cancer cells. Sci Rep. 6, 22784 (2016). Temma T, Hanaoka H, Yonezawa A, Kondo N, Sano K, Sakamoto T, Seiki M, Ono M, Saji H*. Investigation of a MMP-2 Activity-Dependent Anchoring Probe for Nuclear Imaging of Cancer, PLoS One. 9, e102180 (2014). Sakamoto T, Weng JS, Hara T, Yoshino S, Kozuka-Hata H, Oyama M, Seiki M*. Hypoxia-Inducible Factor 1 Regulation through Cross Talk between mTOR and MT1-MMP. Mol Cell Biol. 34, 30-42 (2014). Nishida C, Kusubata K, Tashiro Y, Gritli I, Sato A, Ohki-Koizumi M, Morita Y, Nagano M, Sakamoto T, Koshikawa N, Kuchimaru T, Kizaka-Kondoh S, Seiki M, Nakauchi H, Heissig B, Hattori K*. MT1-MMP plays a critical role in hematopoiesis by regulating HIF-mediated chemokine/cytokine gene transcription within niche cells. Blood. 119, 5405-5416 (2012). 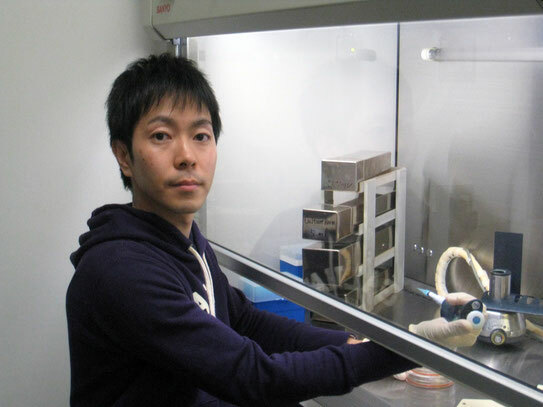 Yoshino S, Hara T, Weng JS, Takahashi Y, Seiki M*, Sakamoto T.　Genetic screening of new genes responsible for cellular adaptation to hypoxia using a genome-wide shRNA library. PLoS One. 7, e35590 (2012). Hara T, Mimura K, Seiki M*, Sakamoto T. Genetic dissection of proteolytic and non-proteolytic contributions of MT1-MMP to macrophage invasion. Biochem Biophys Res Commun. 413, 277-281 (2011). Hara T, Mimura K, Abe T, Shioi G, Seiki M*, Sakamoto T. Deletion of the Mint3/APBA3 gene in mice abrogates macrophage functions and increases resistance to lipopolysaccaride-induced septic shock. J Biol Chem. 286, 32542-32551 (2011). Sakamoto T, Niiya D, Seiki M*. Targeting the warburg effect, which arises in tumor cells expressing membrane-type-1 matrix metalloproteinase. J Biol Chem. 286, 14691-14704 (2011). Nagano M, Hoshino D, Sakamoto T, Akizawa T, Koshikawa N, Seiki M*. ZF21 is a new regulator of focal adhesion disassembly and a potential member of the spreading initiation center. Cell Adh Migr. 5, 23-28 (2011). Sakamoto T, Seiki M*. A membrane protease regulates energy production in macrophages by activating hypoxia-inducible factor-1 via a non-proteolytic mechanism. J Biol Chem. 285, 29951-29964 (2010). Nagano M, Hoshino D, Sakamoto T, Kawasaki N, Koshikawa N, Seiki M*. ZF21 protein regulates cell adhesion and motility. J Biol Chem. 285, 21013-21022 (2010). Sakamoto T, Seiki M*. Mint3 enhances the activity of hypoxia-inducible factor-1 (HIF-1) in macrophages by suppressing the activity of factor inhibiting HIF-1. J Biol Chem. 284, 30350-30359 (2009). Niiya D, Egawa N, Sakamoto T, Kikkawa Y, Shinkawa T, Isobe T, Koshikawa N, Seiki M*. Identification and characterization of Lutheran blood group glycoprotein as a new substrate of membrane-type 1 matrix metalloproteinase 1 (MT1-MMP): a systemic whole cell analysis of MT1-MMP-associating proteins in A431 cells. J Biol Chem. 284, 27360-27369 (2009). Sakamoto T, Seiki M*. Cytoplasmic tail of MT1-MMP regulates macrophage motility independently from its protease activity. Genes Cells. 14, 617-626 (2009). Rikimaru A, Komori K, Sakamoto T, Ichise H, Yoshida N, Yana I, Seiki M*. Establishment of an MT4-MMP-deficient mouse strain representing an efficient tracking system for MT4-MMP/MMP-17 expression in vivo using beta-galactosidase. Genes Cells. 12, 1091-1100 (2007). Taniwaki K, Fukamachi H, Komori K, Ohtake Y, Nonaka T, Sakamoto T, Shiomi T, Okada Y, Itoh T, Itohara S, Seiki M, Yana I*. Stroma-derived matrix metalloproteinase (MMP)-2 promotes membrane type 1-MMP-dependent tumor growth in mice. Cancer Res. 67, 4311-4319 (2007). Shimizu S, Saito N, Kubosaki A, SungWook S, Takeyama N, Sakamoto T, Matsumoto Y, Saeki K, Matsumoto Y, Onodera T*. Developmental expression and localization of IA-2 mRNA in mouse neuroendocrine tissues. Biochem Biophys Res Commun. 288, 165-171 (2001).